It’s Webstock Week this week! YAY! If you’re coming along on Thursday and Friday, here’s a sneak peek at the schwag you’ll receive. 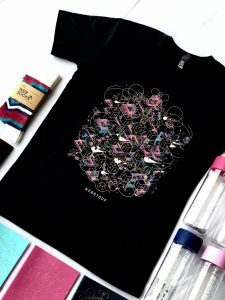 T shirts in many sizes: small, medium, large, xl and 2xl, made by ASColour, and produced under safe, fair, legal and humane working conditions. 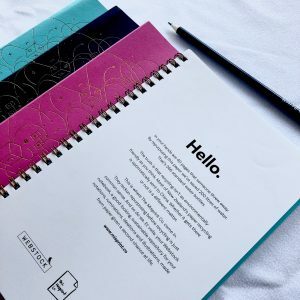 A fine-looking, sustainable repository for your notations, ruminations, ideations and illustrations, made from paper given a second chance at life! These have been handmade by Misprint and Wakefield Digital, specially for Webstock. By repurposing this paper we’ve saved 200 litres of water – 266 standard water bottles! 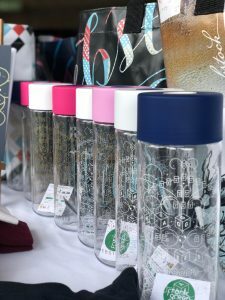 The official Webstock water bottle to keep you hydrated, activated and captivated! This receptacle is made of recyclable BPA-free plastic and can be operated one handed with a simple push of the button! The bottle has the look of glass, but neither the heaviness nor the breakability, and it’s recyclable at end of its life. The receptacles are reusable, durable, stylish and come with a spill-resistant lid and a drinking hole is designed for optimum liquid flow. 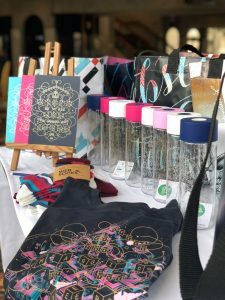 By using your Webstock receptacle instead of plastic water cups, you’re limiting the amount of unnecessary waste to landfill and helping make the Earth cleaner and happier. 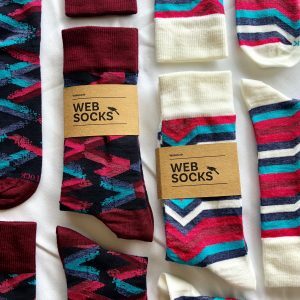 Merino blend business socks, knitted from the finest natural and performance yarns, perfect for business time and other times too. This year’s bag has been made with repurposed materials used in Webstocks-past: banners, signage, and other event-accoutrement. They are a restropective, a time capsule if you will, of Webstock over the years. 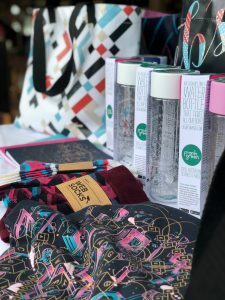 Flexible, functional, sturdy and stylish, they are a multiple-purpose tote – perfect for the shop, the beach, the bbq, the pool, the plane, the park, the laundry, the laptop, the kids, the cat, the dog, the day trip, the holiday, the heist. We could go on. It’s a damn good bag. We’re delighted to welcome Leah Culver as the final judge for this year’s Start-up Alley! Leah Culver is a founder and CTO of Breaker, an iOS app for listening to podcasts with your friends. Breaker launched in March 2017 and was Y Combinator class of Winter 2017. Leah also previously founded Pownce, an early social networking site and Convore/Grove, a group messaging service. Leah is also a co-author of both the OAuth and oEmbed open API specifications and is an advocate for APIs and open source. Leah joins fellow judges Anna Guenther, co-founder and CEO of PledgeMe; Derek Sivers, creator of CD Baby, and Harry Ferreira, who heads up the award winning Small Business team at BNZ. This is aimed at tech businesses who have developed an innovative tech product and have their sights on potential growth and expansion beyond NZ. This is aimed at start up social enterprises with a technology component – businesses that have a social purpose at the heart of what they do. Here are Start-Up Accelerator category finalists! “We’re delighted to be selected as a finalist for the 2018 BNZ Start-Up Alley. Our mission is “matching people to jobs they love” and we’re busy re-inventing the way the world hires. All of us at coHired are honoured to have the trust and encouragement from Start-Up Alley Judges, BNZ and their business partners. “At Investify, we are changing the game for investors by empowering them with simplified, easy to understand investment research at the price of a Netflix membership. Here are Social Enterprise Kick Start category finalists! “Accreditron is a web platform that makes it easier for NGOs and Charities to spend less time on paperwork. We save organisations time and reduce risk by making it simple to share up-to-date and quality information across the Social Sector and Government. Maybe Marco’s on to something. Maybe the era of conferences like Webstock is coming to close. 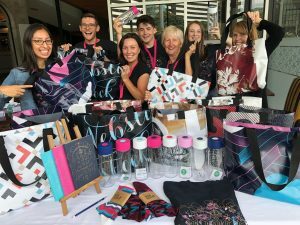 We can tell you this, though – Webstock 2018, our 12th edition, is the end of something for us. In a few months, the St James theatre – home to Webstock – will be out of action while it receives earthquake strengthening treatment. We don’t know how long it will be closed for – a year at least – but if you’ve ever watched Grand Designs then you’ll know most projects run over some. Considering our previous home, the Town Hall, was meant to have taken two years to complete, and now some seven years on, it’s still uninhabitable, we just can’t be certain! So this will be the last Webstock at the St James. For now, or forever, we don’t know. The space in which we hold our event – how it flows, how it feels, where it’s located – is paramount to the experience we’re trying to create. The experience is everything! This has always, always been a guiding principle for us. And it means, given the absence of suitable venues here, that this Webstock may be the last in Wellington. Or indeed anywhere. So, while we feel a great sadness at the thought of something we love coming to an end, we do feel it’s a time to celebrate everything we’ve had the chance to do, and see, and hear, and those we’ve had the chance to meet. We want to celebrate the shared experience that being together with a group of peers and friends and strangers can bring. And we want to celebrate the opportunity to learn from, and be delighted and excited and empowered by this group of people. While we don’t know right now what next year will bring, we do know that this Webstock is one you shouldn’t miss out on. We’ve 22 speakers, leaders in their fields all of them, talking on a variety of need-to-know topics – everything from AI and algorithms to accessibility, information architecture to inclusive content, performance to privacy, design systems to data collection to digital transformation. We’ve three excellent new speakers*. Webstock ‘18 will be a feast of ideas, illumination and practical application to help us do our best, most impactful work. It’ll be an event to leave us feeling greater optimism for the future and how we can contribute in a meaningful way. We’d love to see you there. Why not register now. *They are Haley van Dyck, co-founder of the US Digital Service; Phillip Hunter, Head of UX for Alexa Skills at Amazon, and Dr Nishant Shah, co-founder of the Centre for Internet & Society in India, Dean of Graduate School at ArtEZ University of the Arts, The Netherlands and a Visiting Professor at Leuphana University, Germany. The lineup just got even better! We are thrilled to announce the addition of three more speakers to our Webstock ’18 line! 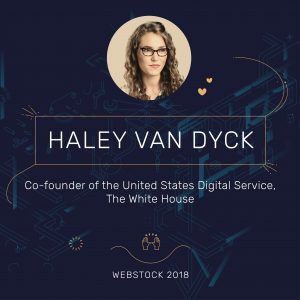 Haley van Dyck is co-founder of the US Digital Service and a key thought leader on Obama’s tech team since the 2008 campaign, where she helped develop the mobile strategy for the first Presidential campaign in history to use mobile and text messaging to connect with voters. Four days after the election she moved to Washington, D.C. to serve on the Presidential Transition Team with a small group of individuals who set the course for the Administration’s technology strategy, including writing the Open Government Directive and creating the first U.S. Chief Technology Officer position. 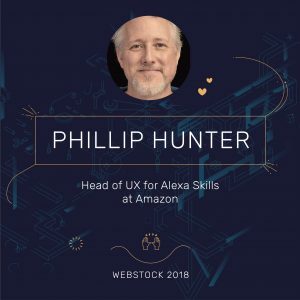 Phillip Hunter is Head of UX for Alexa Skills at Amazon. Prior to that he was UX Design Manager for AWS. He is passionate about how teams work, understanding systems, and the little details of interaction design that make big differences. Phillip has designed and created strategy for voice-based products and services for hundreds of customer service systems, Microsoft Cortana and Xbox, and now Amazon Alexa. 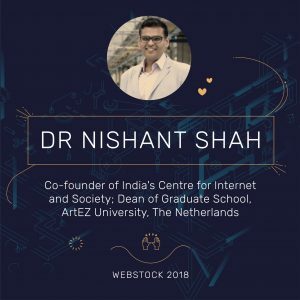 Dr. Nishant Shah is co-founder and board member of the Centre for Internet & Society in Bangalore, India. He is Dean of Graduate School at ArtEZ University of the Arts, The Netherlands and a Visiting Professor at the Institute of Culture and Aesthetics of Digital Media at Leuphana University in Germany, where he teaches in fields such as Digital Humanities, Computer-Human Interaction and Information and Communication Technologies for Development. His work on technology, identity and social and political movements focuses on the question of how we can remain human in a technological environment.